Would you like to practice playing worship songs with a pro band? 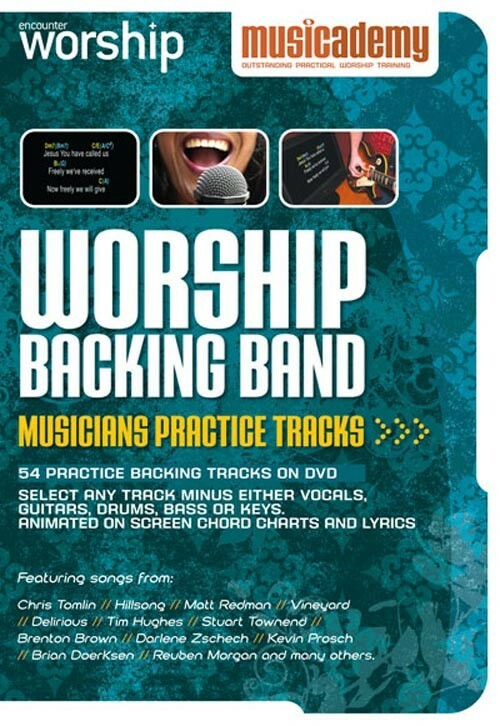 54 practice backing tracks on DVD with animated on-screen lyrics and chord charts. Select any song without either vocals, drums (click included), electric guitars, bass or keys and play along! Worshipfully produced by world class Christian musicians like Ben Cantelon, Paul Evans, Marc James, Cathy Burton, Matt Weeks, Mark Edwards, Dan Wheeler, Steve Harding and others using the Encounter Worship recordings. Featuring 54 modern worship classics plus upcoming new songs from Chris Tomlin, Hillsong, Matt Redman, Vineyard, Delirious, Tim Hughes, Stuart Townend, Brenton Brown, Darlene Zschech, Kevin Prosch, Brian Doerksen, Reuben Morgan and many others. The ability to take any one instrument out of the mix. So, for instance, a guitarist can take the guitar out of the mix and either play along to the backing track in church or at home as a practice tool. Practice is a lot more fun with a pro band. Christian musicians who want to practise with a full band - great for developing timing and working on your parts. 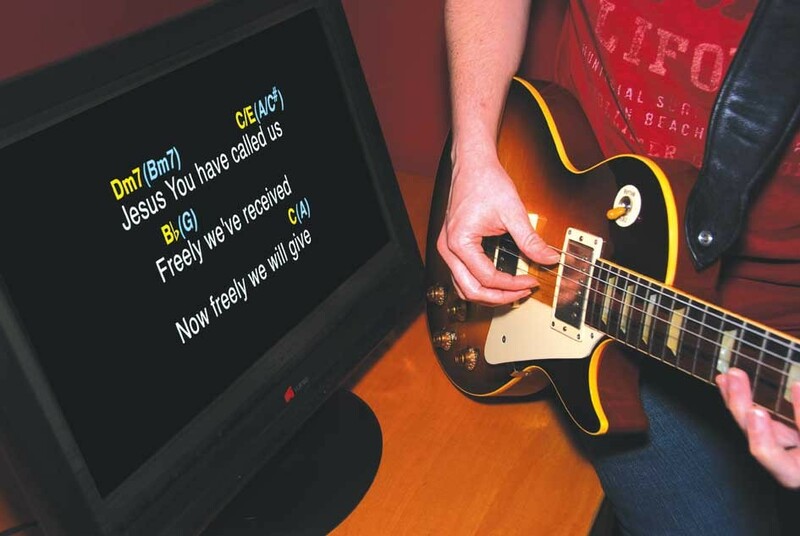 Amateur, young worship teams who might need a little help when they lead worship. 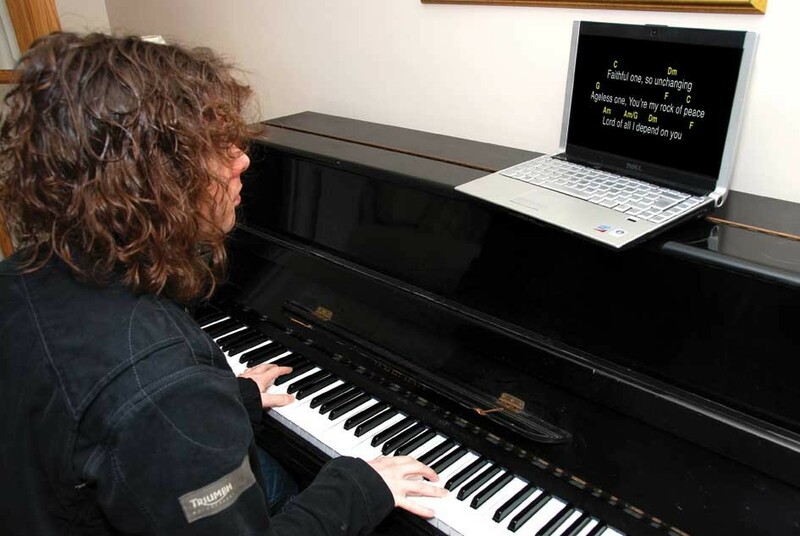 Play along to the backing track knowing it will keep you in time and will carry on playing even if you make a mistake. We've made it really easy. If you can use a DVD player remote control, you'll have no problem with this. Very easy, logical menu screens that are quick to navigate. Can I take more than one instrument out of the mix? No. 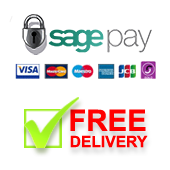 With 54 songs on one DVD, and a track for each current option, the DVD is full so we are not able to offer more than one instrument option at a time. We are soon to launch a new MultiTrack Player (April 2011) which will enable you to adjust multiple instruments in the mix. Whilst this product will be very versatile, it will be a more expensive option than this low price 54 track DVD. 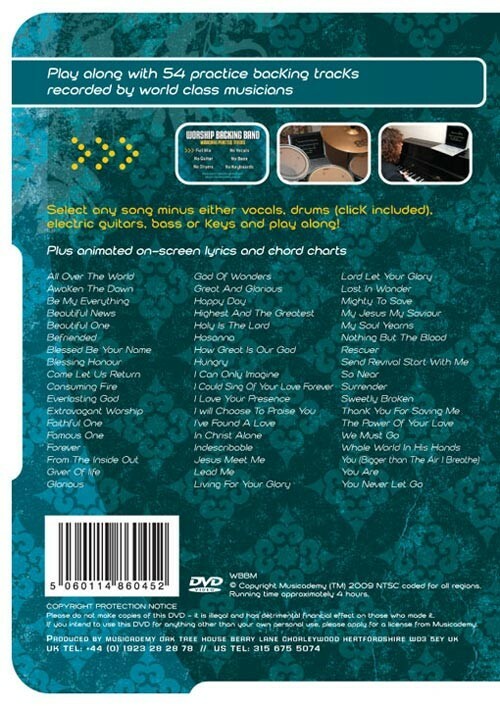 The DVD contains on screen chord charts. We don't have publishing rights to produce these songs with an additional song book (because we wanted to keep the overall cost of the product down), however you will find all the songs online with chord charts and in many worship music books. What happens if we need multiple copies for all my worship team? ...Worship leaders in the mainstream are cranking out praise songs like rabbits. 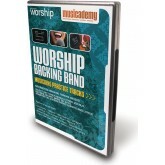 By the time that you get this DVD, practice, and use it, the praise songs have become praise oldies. Not desiring to be a part of the problem, my solution would be to make a software DVD that can be updated online (much in the same way that you would update virus, and malware prevention data). If need be, charge an annual fee (for the purpose of royalties, paying employees, etc.). Maybe $10 - $20 / year. In today's economy, it would still be less than having to purchase every praise song that comes down the pike. I hope this review hopes the developers at Musicacadamy come up with a truly superior product for the Christian musician. God bless all. We agree with you! That's why we've created the Worship Backing Band MultiTrack Player. This is a software player and we will be adding new songs as they start to become popular. Having said that, for a church on a budget the price of the DVD is very good vlue. This is an excellent product for those who want to practice. However, since i am not a proficient player (i am a beginner), i would have loved if there were an option to control the speed of the songs. I find it difficult to keep up with the pace of the song. A control in that respect would be such a valuable addition to it. It would help players of all stages to enjoy this excellent product. This is a very good point regarding beginners. Its not possible in a DVD to have a speed setting but you should find that our Song Learner Series really help you learn many of these songs. Each element of the song is broken down (slowly if its complex) and you can then build up the elements as you learn. This is a really helpful aid - easy to use and well thought out. Good number of songs with a lot of variety, plus alternatives for key signatures if you don't like the one it's in. I use this dvd for improving my guitar playing, worshipping God & when friends come over we have a jam session with this dvd leading the way. Hopefully we'll see some more DVDs? I play the guitar...badly... so I use this to improve. I also have friends come round and have a jam session with this DVD leading the way, we all pick a song & jam with the track. All good fun & helpful aid to worshipping God. thanks, a great DVD, lets have some more eh? The backing tracks were quite useful in introducing the songs to band members. They facilitated training and band practice allowing our church to introduce new material within the normal rotation of worship and praise. Thanks so much for a wonderful product. I've only been a Christian for 5 years. As a former professional musician, I found joining the Worship Team very strange. Hardly any of my band-mates had any experience of playing outside of the Worship Team and despite high levels of individual skills, they barely understood the dynamics of group playing. The Worship Leader plonked the lead sheet in front of everyone and next thing you new, we sounded like the Ramones - everyone thrashing out the same thing at breakneck speed! I bought this DVD to lend to my friends so they could HEAR and understand the classic "less is more" adage - what is the bass player doing and why? Notice that the guitarist and keys player aren't fighting for the same sonic space. It's been eye opening for most of them. I purchased two copies of this product to have as a resource for new musicians. I've used it with some young drummers so far whose only experience had been playing by themselves or in a school band setting. The ability for them to use this to see how the drum parts fit into the song, to see the different ways drums fit into the songs, and to be able to play along has been invaluable. This is especially good for worship leaders who may not be proficient in all instruments, but want to help younger/newer musicians develop their skills. It has definitely made a difference. I highly recommend this resource. 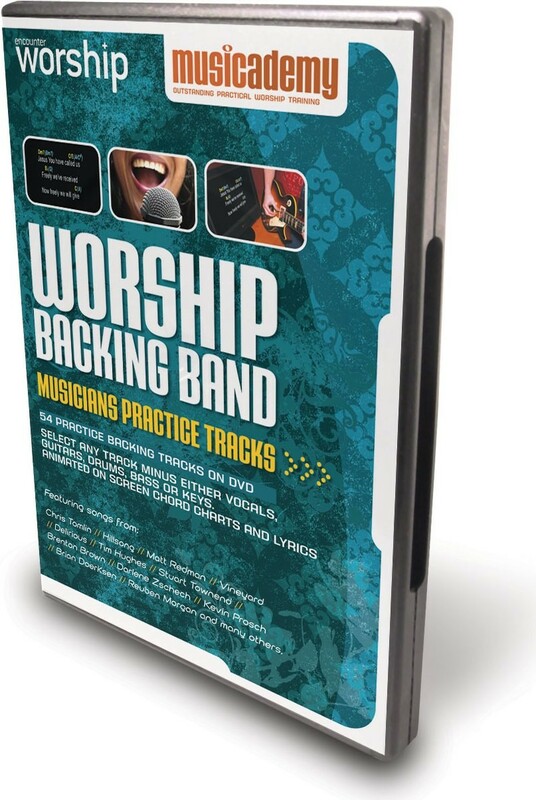 This DVD is definitely something that your praise band should have for practice. You don't have to look for individual songs anymore. Most of the songs you practice are on this one DVD. Great tool to have for beginners or advanced. Easy to navigate. 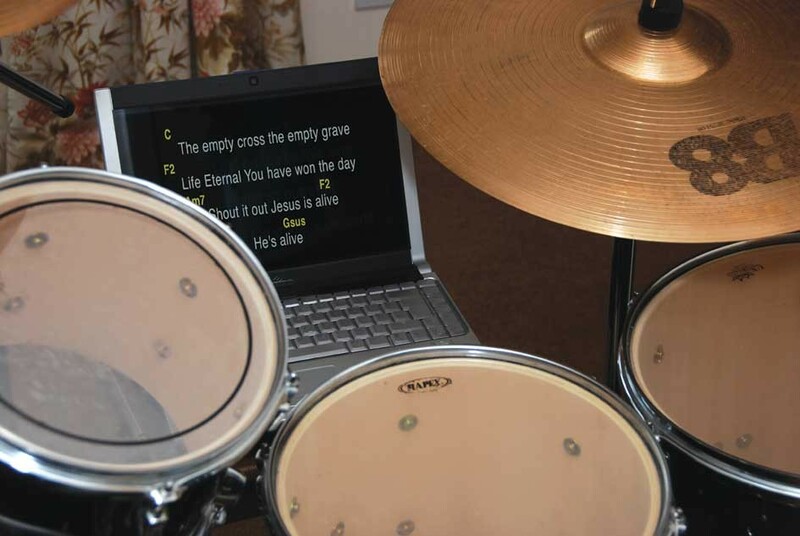 You can also use the tracks for church as it includes the lyrics and music. You can even omit the vocals if you want just the instrumental or want to sing along. Keep in mind, buying the DVD is cheaper than buying individual songs!